G-Star Raw. 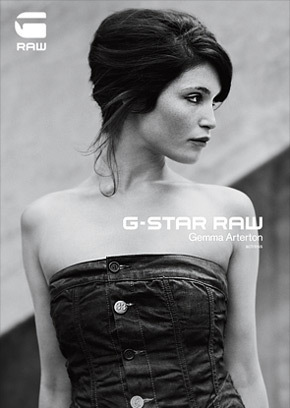 Print-Ads.. Wallpaper and background images in the Gemma Arterton club tagged: gemma arterton arterton gemma 2011 photo shoot campaign g-star. This Gemma Arterton photo might contain 칵테일 드레스, 시스, 칼집, 칼 집, 초상화, 얼굴, 근접 촬영, 얼굴 만, 세로, and 헤드샷.